Young R’eye is separated from her father and transformed into an android – half human, half machine. Although her life is now subject to external control, her yearning for freedom lives on. And, indeed, one day she does begin moving to a different beat. With the bright-eyed wonder of a child, she beholds the world with new eyes and perceives the overwhelming beauty of things that we often overlook. Who can you be? What’s your true ID? 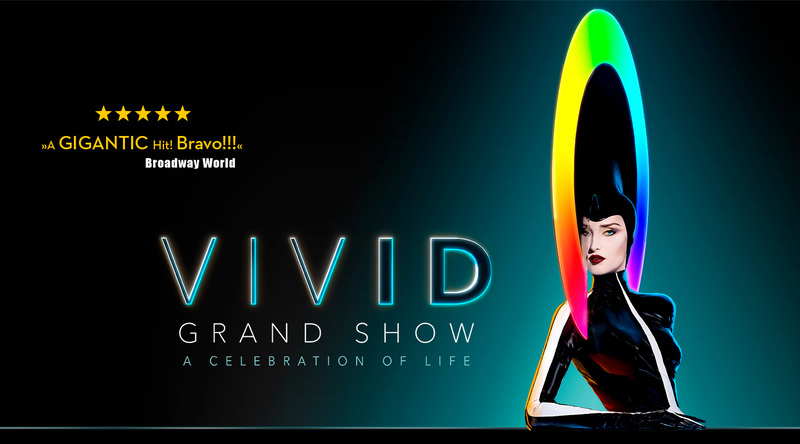 VIVID is a hypersensuous journey of self-discovery and a declaration of love to life. Up to six guests can enjoy spectacular bird’s-eye views over the action in the theater hall and stage below. The price includes a glass of champagne, free beverages, snacks and a programme. A glamorous visit to the Palast makes the perfect gift. Order vouchers for your chosen value online or via our telephone hotline. As a theatre owned by the city of Berlin, the Palast has the utmost respect for all legitimate views and lifestyles.